Talented wedding entertainment for your big night. "Our dance floor was packed from beginning to end and we got rave reviews from our guests. Talent Productions went above and beyond for us." Whether its decorative or special effect lighting, we have all your event lighting needs covered. Hashtag wall, Snapchat filters & so much more! Catch us DJing at Orangetheory Fitness, twice a month! Talent Productions for your next event. We got the best DJ’s, lighting and so much more, all at an affordable price. Let us take care of all your entertainment needs at your next event! 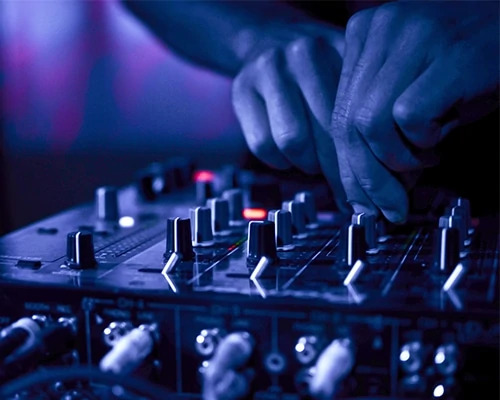 Experienced DJ services that will have your party rockin’! 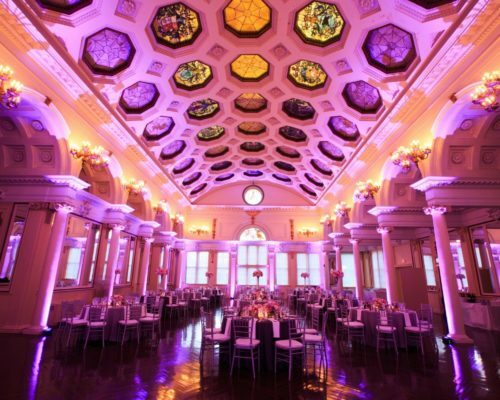 Dazzling lighting and other special effects that will take your event over the top. 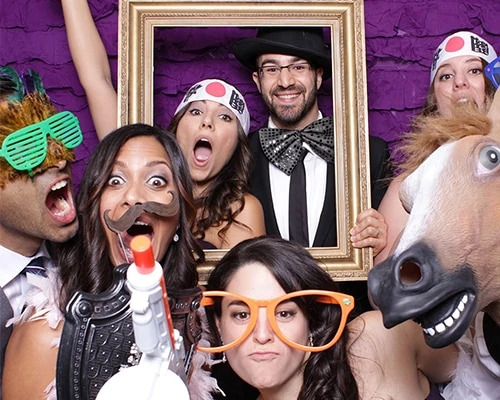 Add some photo fun to your event with a live photo booth section. 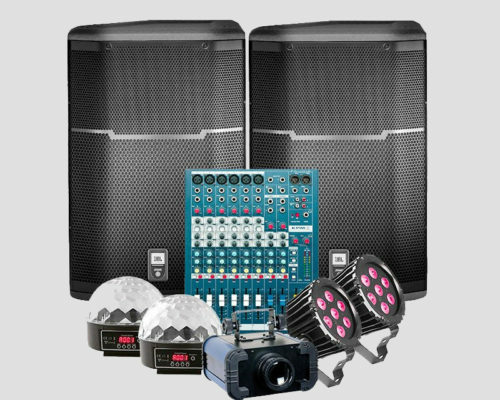 We have a wide variety of sound, lighting & event rentals. Float atop of the clouds with this fairy tale effect. Whether it’s a projector and screen, or a plasma TV for a small presentation, we got it! Why everyone loves our services. Our DJs are hand picked by us for their ability to mix & read the crowd. If you want everyone dancing, we can send your guests home with sore feet! We are a fully registered company with liability insurance. Our music is licensed and we belong to many DJ associations. Book us with peace of mind. We are a one stop shop, offering professional DJ, lighting, and special effect services. We also offer screens and projectors, photo booths & bars. We are one of the referred DJ services for the Holiday Inn, Radisson and Ramada Hotel. We have worked with names such as TD, Michael Kors & more. Nobody cares about your wedding…as much as we do! My wife had been to a wedding Johnny DJ'd at and insisted we had to have him. He flew to Toronto to be with us on our special day and absolutely nailed it. He really made the whole night with a perfect blend of hit music mixed with cultural classics everyone could dance to! The Dance floor was always full and everyone had a blast! Thank you so much, Johnny!! Thank you DJ Johnny for such an amazing job. Very organized from start to finish. You can plan your wedding from the forms he gives you. He made sure we knew what options we have and helped us make decisions about music and the flow of the whole night. 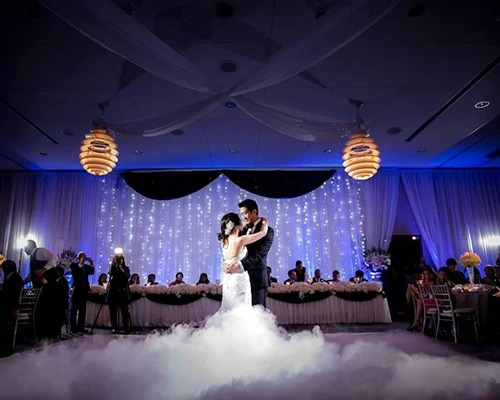 We also got the up lighting and the dry ice for the first dance and I absolutely loved it. Thanks to Johnny and his team! Made our night special and memorable! Had the dance floor going from start start to finish! Wouldn't have been a party without you! Thanks again! Talent Production was amazing. They helped out with our slide show, the up lighting was beautiful. We were not really sure if we were going to get up lights but after talking to Johnny, we decided to get them. We were sure glad we did. It really set the mood and looked great in the room, I can honestly say the lighting really pulled the room together. The music was amazing all of our guest kept saying this was the best Wedding they have ever been too. DJ Andre kept everyone on the dance floor. We would not hesitate to recommend Talent Productions to any of our friends and family. Without them our Wedding would not have been as amazing as it was. We can't thank you enough for the work and effort you put into our day!! We just got back from our honeymoon and the stories are coming in and you were a big topic. You did an incredible job and everyone had a blast so again big ups for a job we'll done. Thank you again and hopefully we'll bump into you soon! We know it’s kind of late but we really wanted to thank you for making our wedding a night to remember. You had everyone up and dancing, and tarik and I were both on the dance floor all night… lets just say I had tons of blisters, but it was so worth it!! Talent Productions is a professional DJ, Sound and Lighting service provider. We have over 15 years of experience and a very talented team of DJs and technicians. 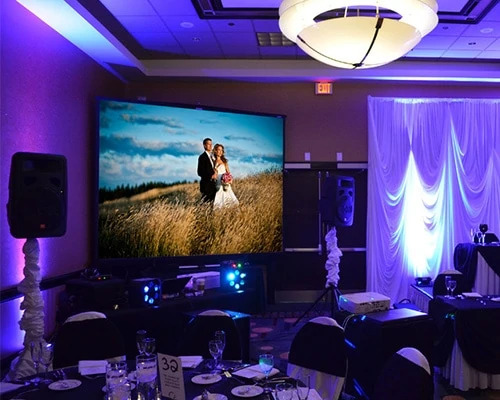 Talent Productions has established itself as a trusted DJ & lighting brand, servicing all of Alberta. Call us today to book your special event and let us help you make it a huge success!